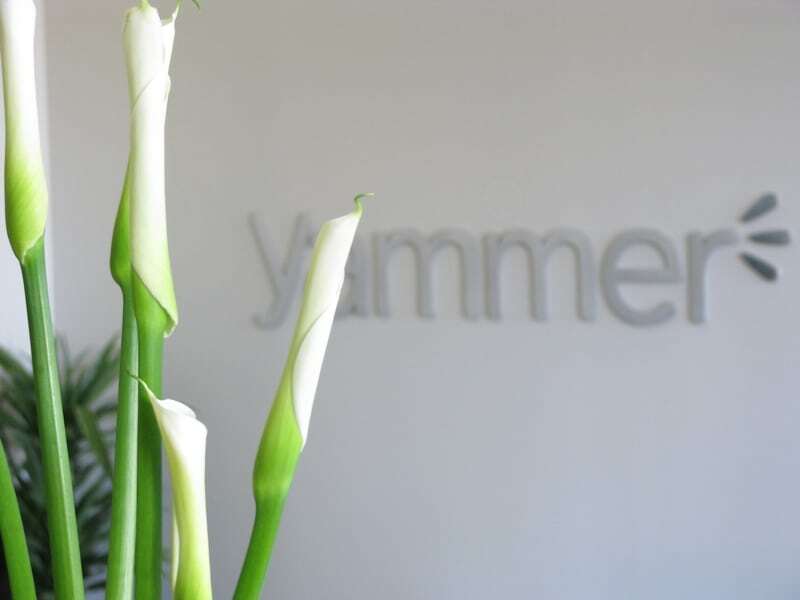 The calla lilies were in bloom again for Yammer's grand opening. 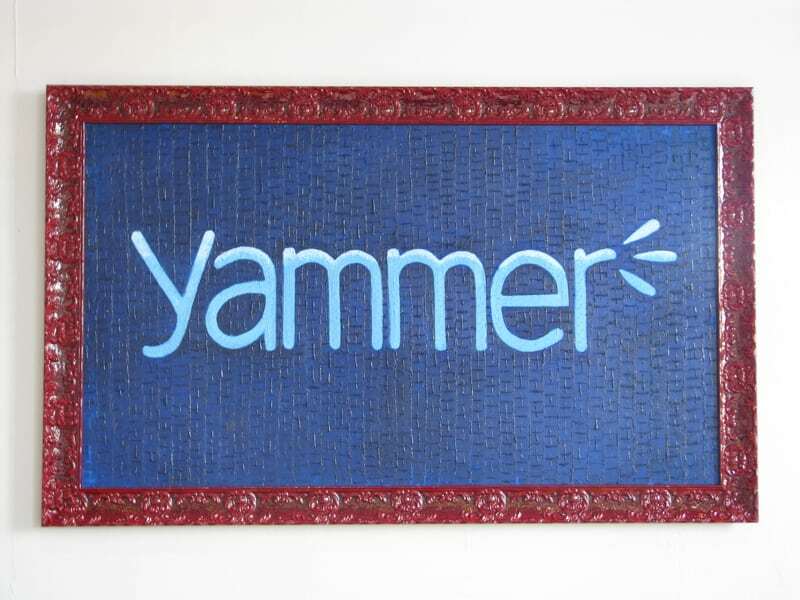 Yammer logo. 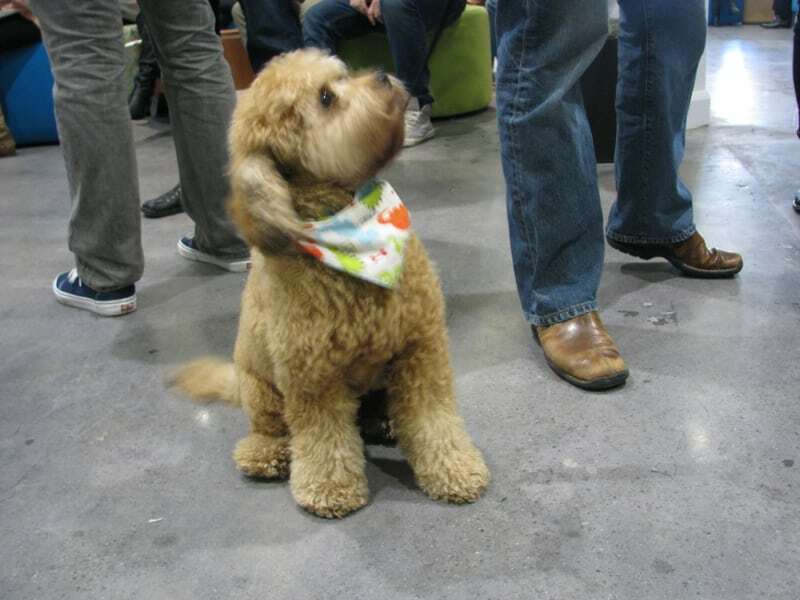 Is it an ottoman? 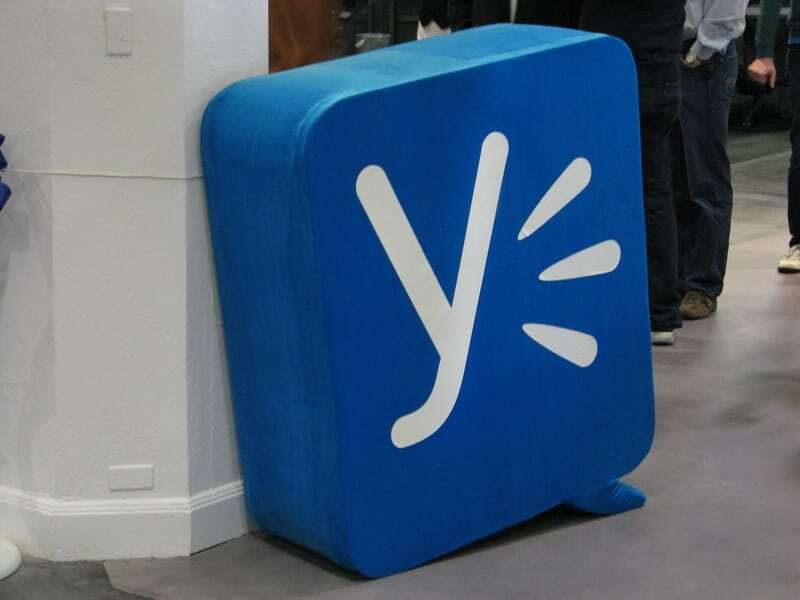 Yammer celebrated its move to the Central Market area today with a ribbon-cutting ceremony and catered gourmet breakfast for all its employees. 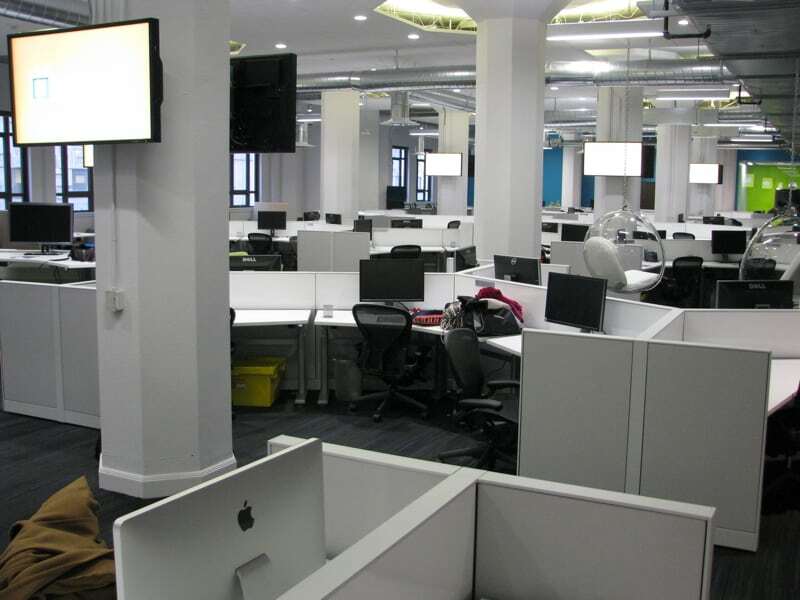 They’d better get used to the luxuries fast—the new office, on the third floor of the renovated S.F. 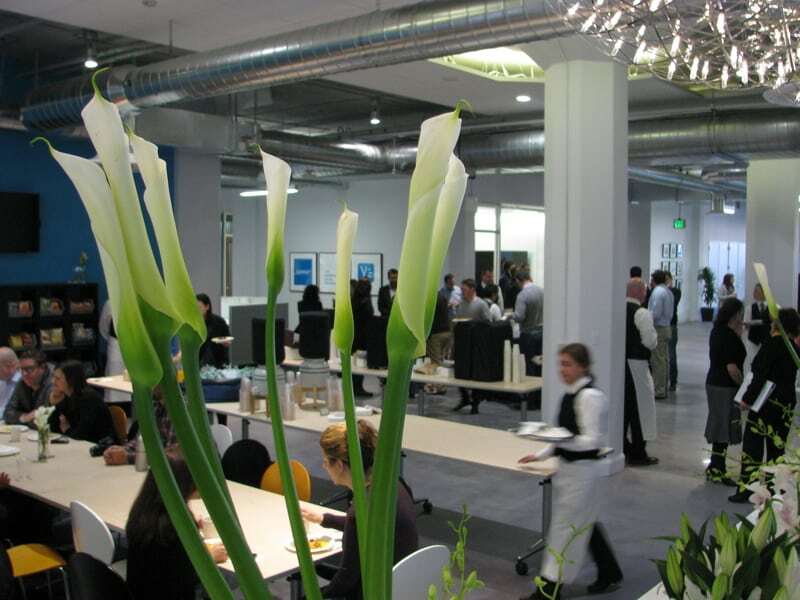 Furniture Mart building at 1355 Market Street, is one of the spiffiest spaces occupied by any Bay Area tech company. 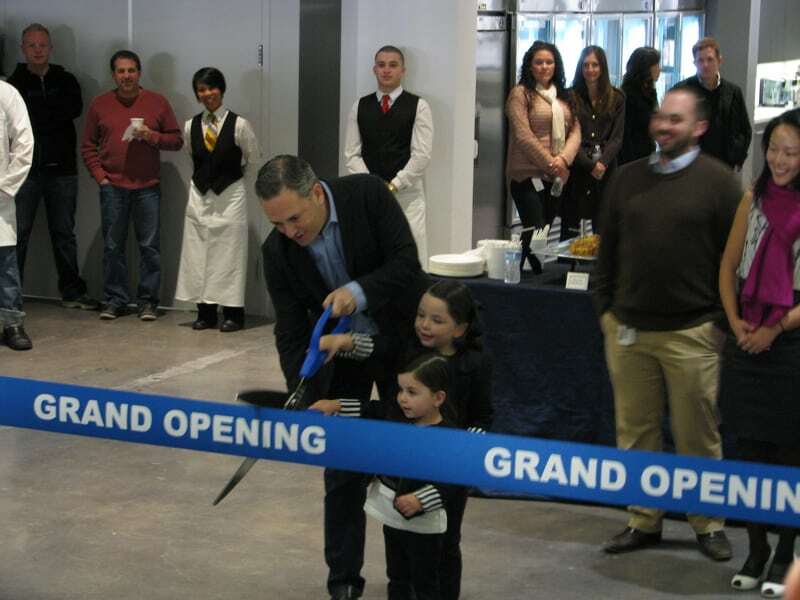 “One way to mark time in Internet ventures is by the offices you move into, and this is by far the coolest office I’ve ever worked in,” remarked Yammer co-founder and CEO David Sacks, just before using a pair of giant scissors to cut the official grand opening ribbon. 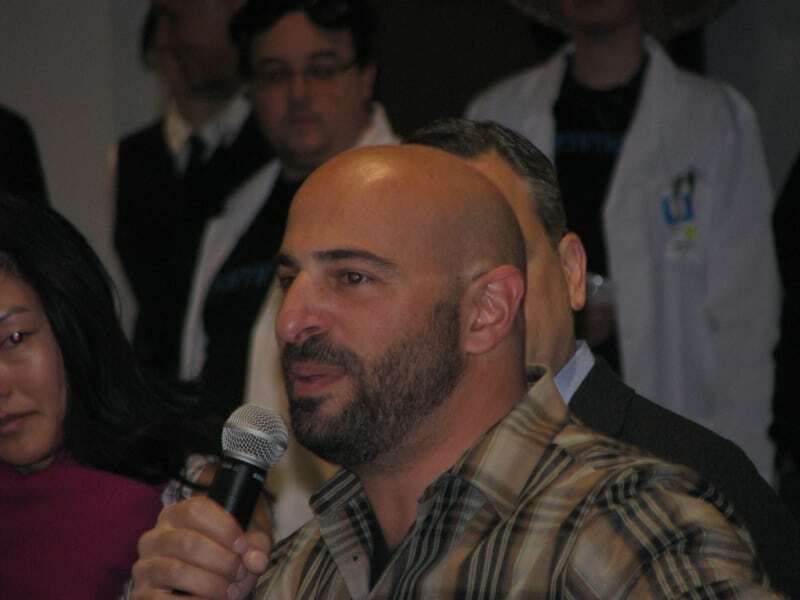 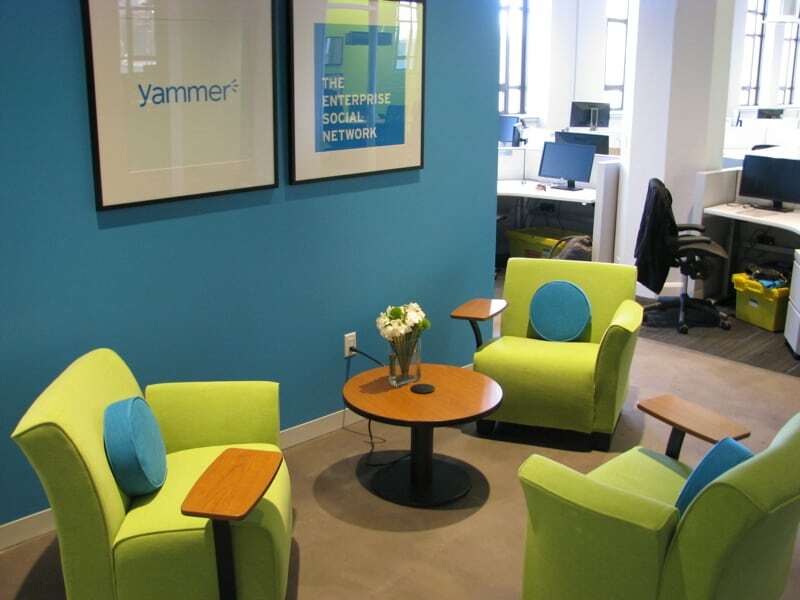 Yammer, which makes social enterprise software, was acquired by Microsoft last year for $1.2 billion. 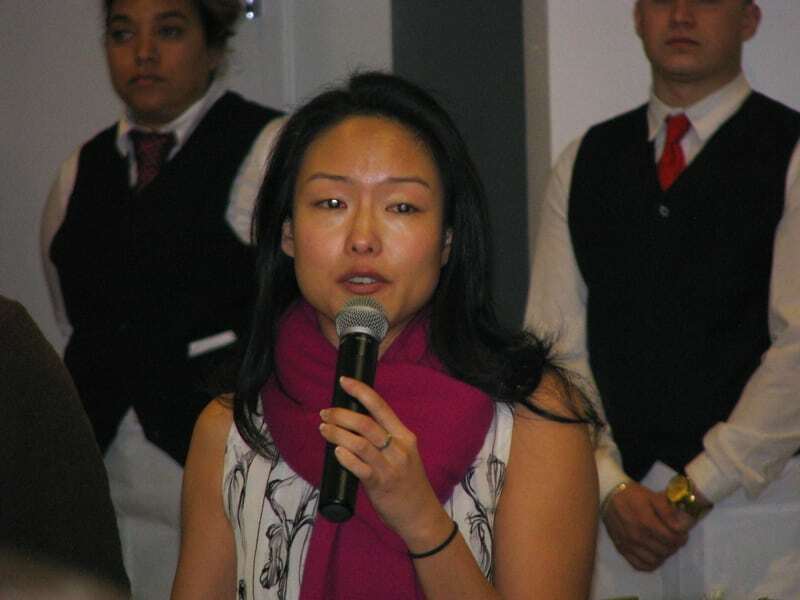 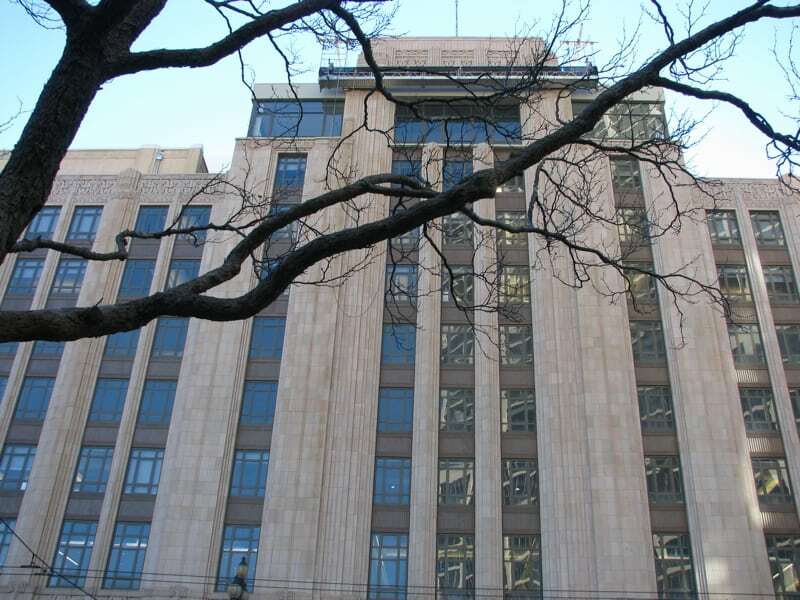 Plans to move the company out of its prior digs at 410 Townsend Street, a traditional startup hub in the heart of SoMa, were already underway at the time of the acquisition. 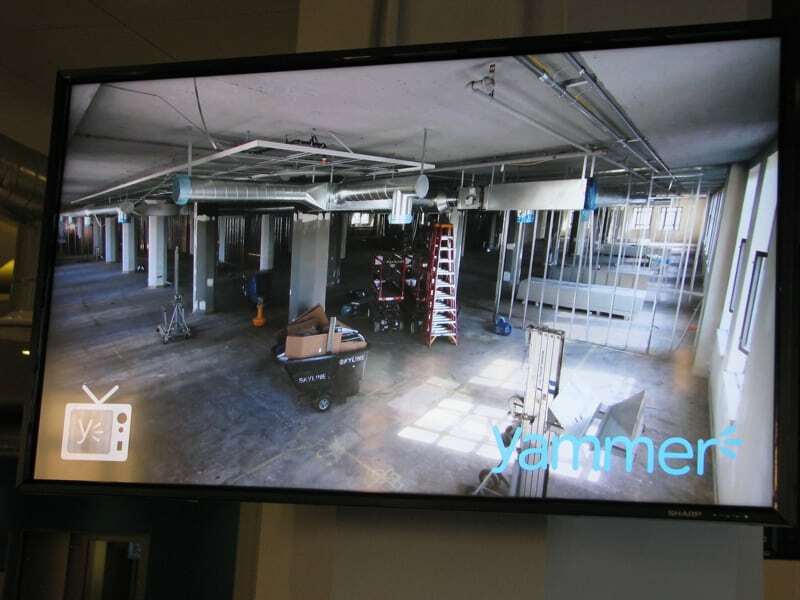 Yammer had expanded to fill two floors of the Townsend Street building, and had moved much of its sales staff off-site; in the new space, the entire company is back together on a single floor. 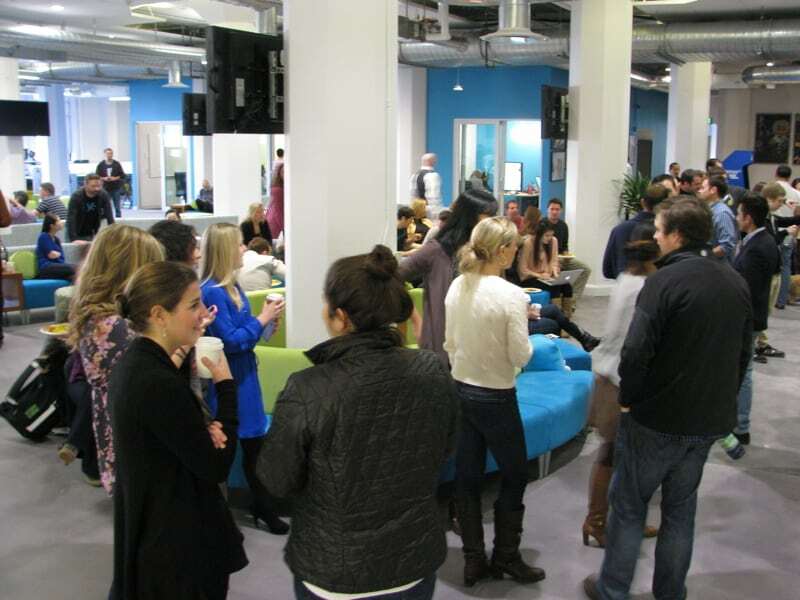 The event this morning was a true grand opening, as none of Yammer’s employees had seen the space before today. 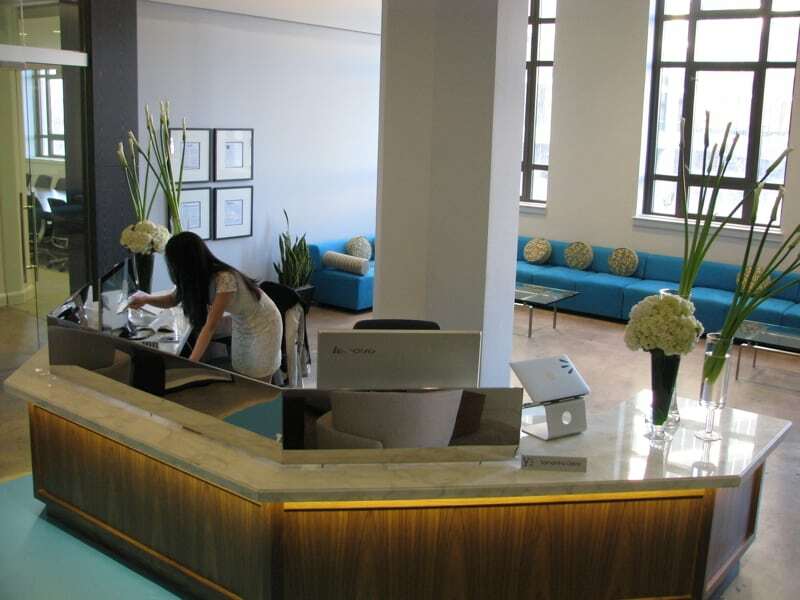 Covering an entire floor of the block-long Furniture Mart building, the office is decorated in bright greens and blues, and features a sun-filled reception space with lattice-like metallic chandeliers; a selection of casual and formal conference spaces; and a variety of desks, cubicles, booths, and other work spaces. 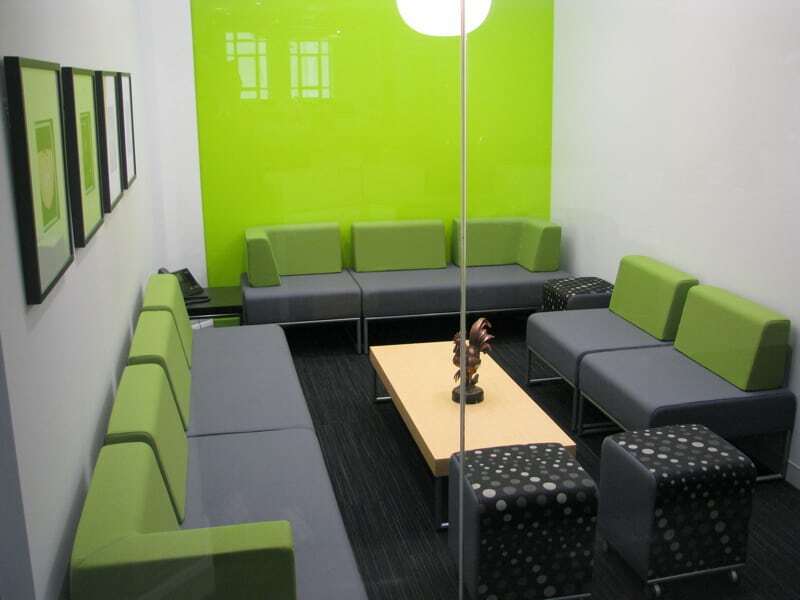 Tim Murphy of Tim Murphy Design Associates handled the design and Skyline Construction built out the space. 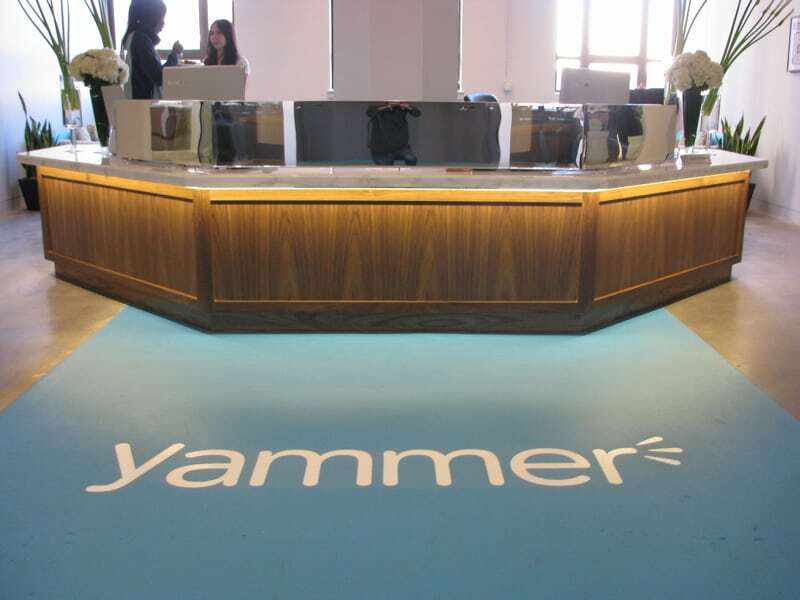 Yammer declined to state how much the renovations had cost. 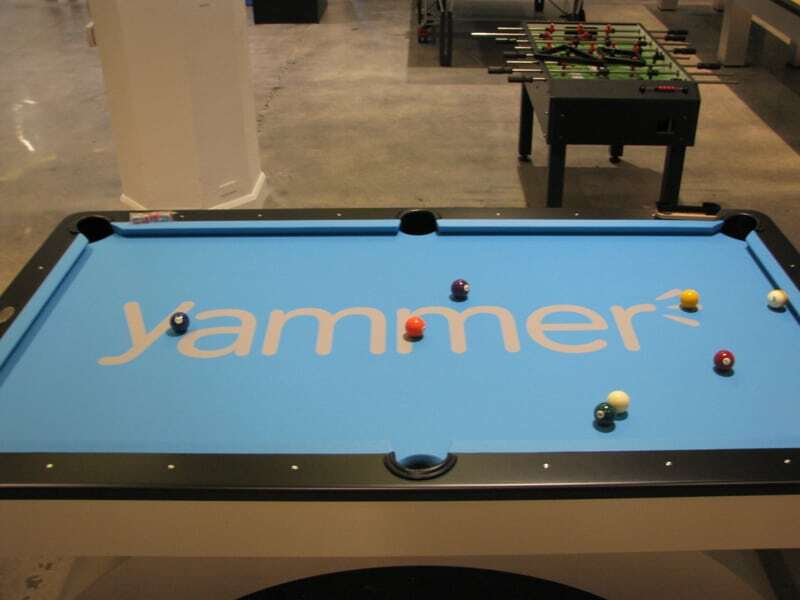 Yammer follows several other notable tech companies to the Central Market area. 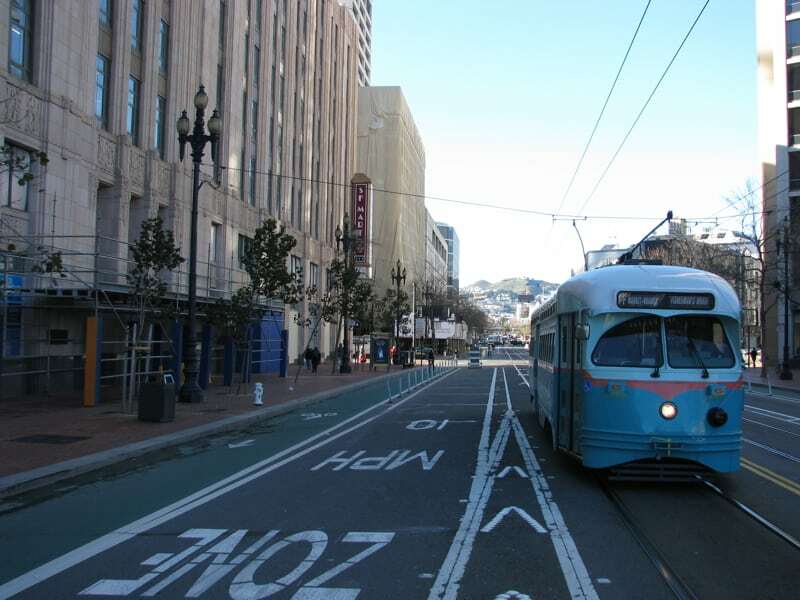 The City of San Francisco is offering big payroll tax breaks to companies that relocate to the area, in hopes of revitalizing the long-beleaguered neighborhood, which is adjacent to the Tenderloin district. 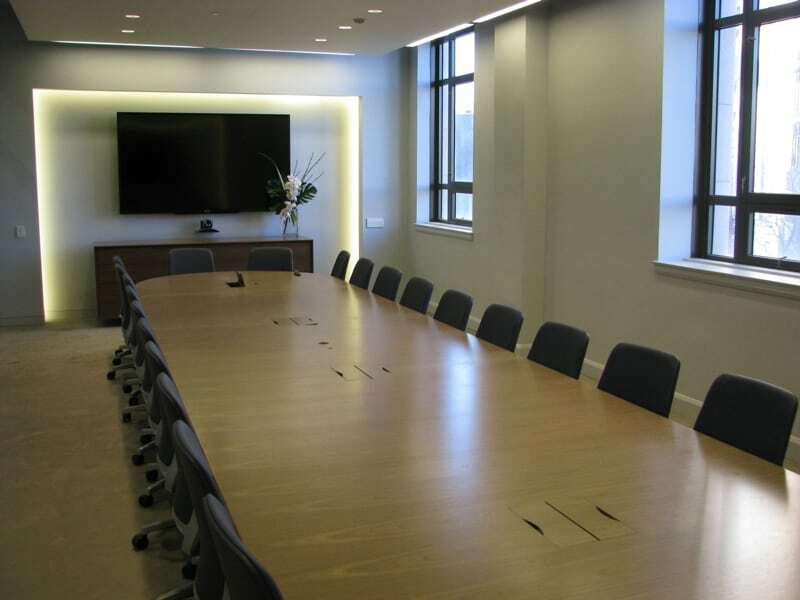 After sitting vacant for nearly a decade, the Shorenstein-owned S.F. 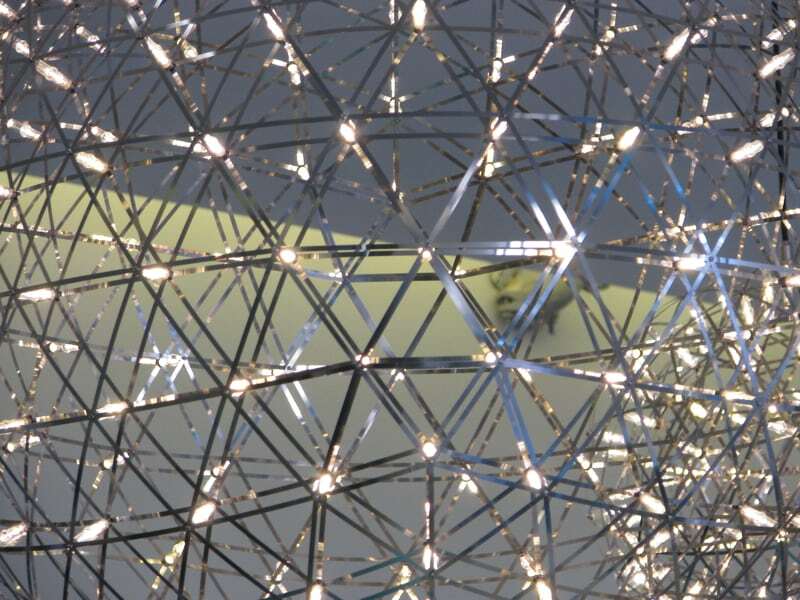 Furniture Mart building is now 90 percent leased. 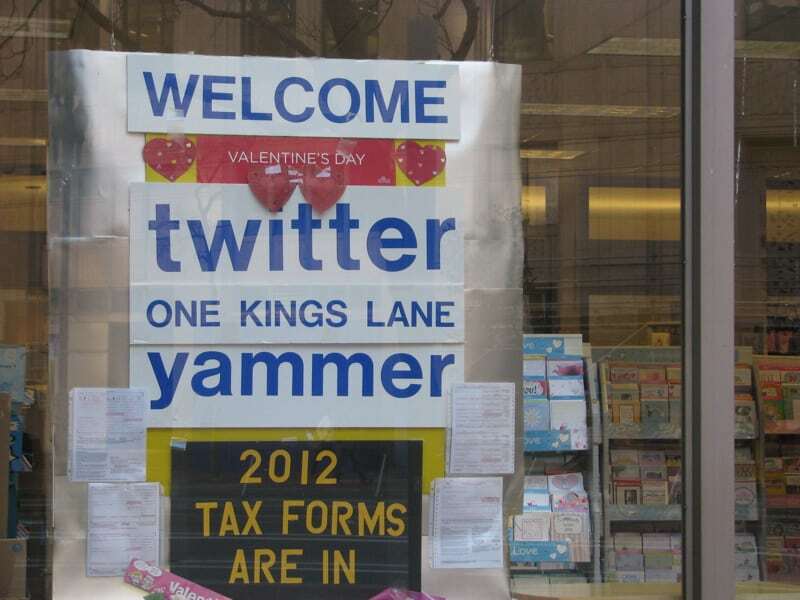 Yammer’s neighbors include Twitter, One Kings Lane, and CallSocket. 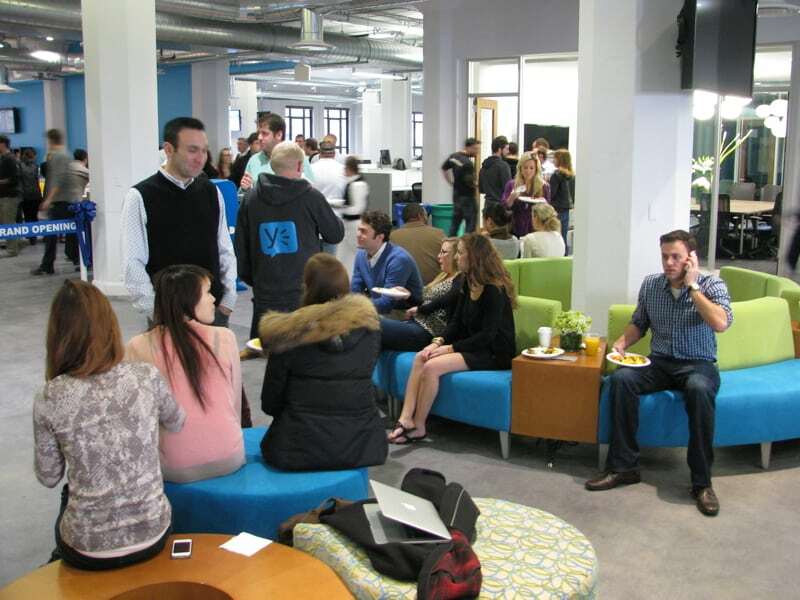 Zendesk is just down the street. 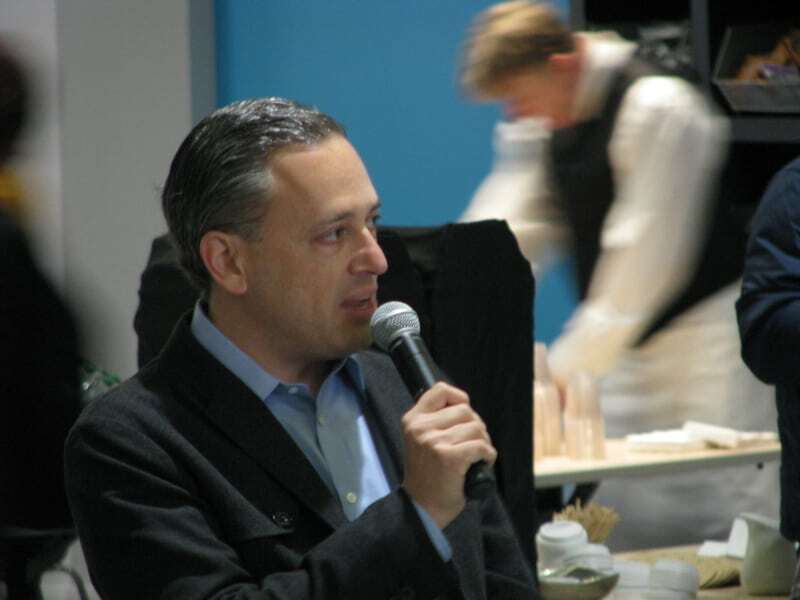 Wade Roush is the producer and host of the podcast Soonish and a contributing editor at Xconomy. I have to question the article title. 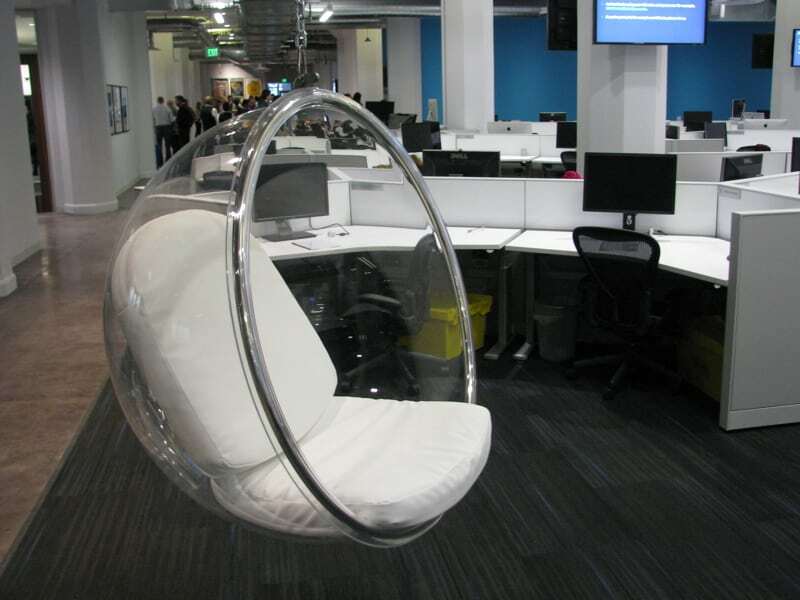 It’s awesome to work at an established company with amazing looking offices. 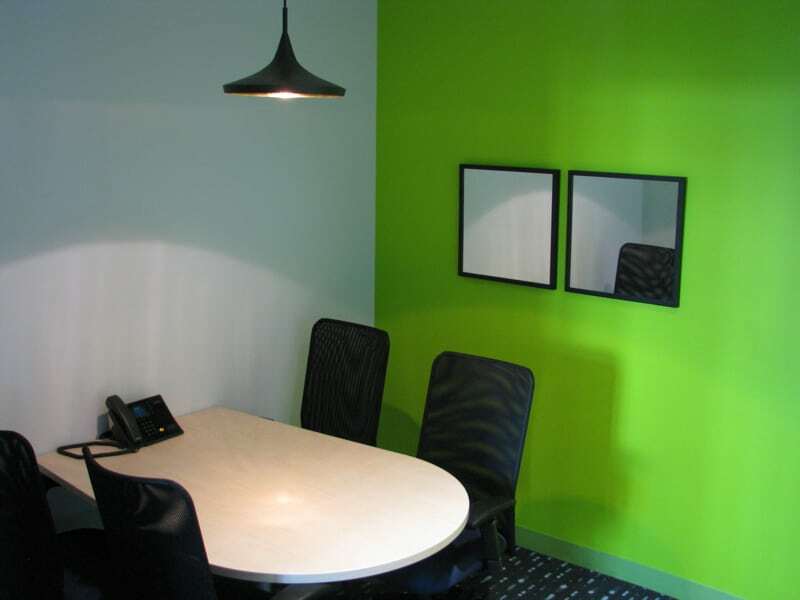 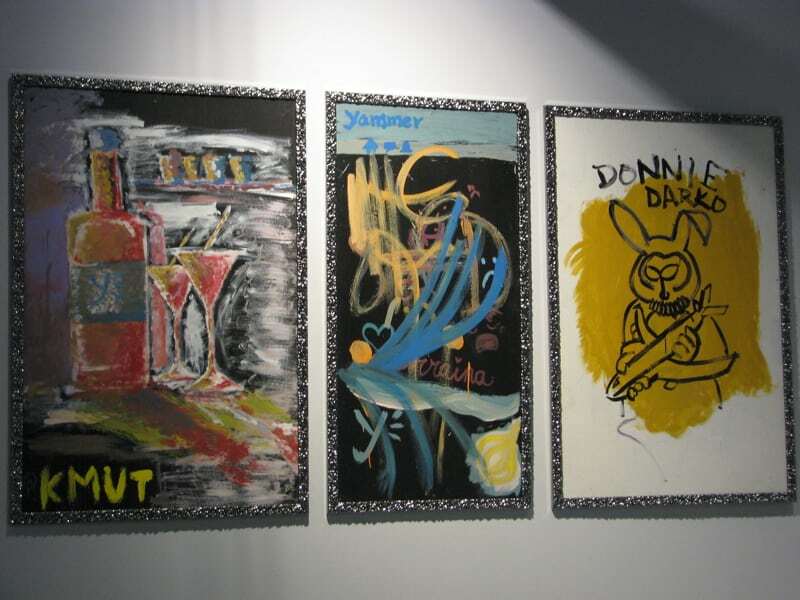 However, if a startup (who has limited funds) is wasting it on high quality decorations and ambiance, there might be something wrong with how they’re being managed. 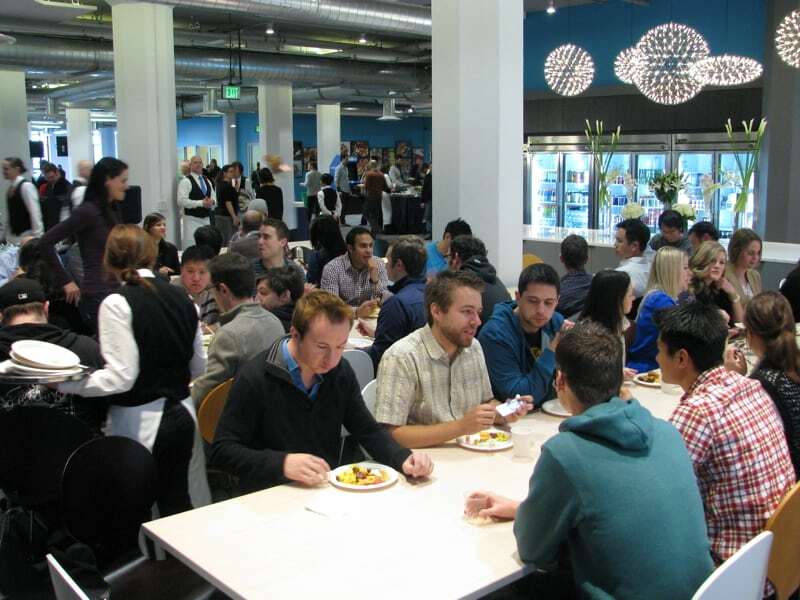 Now, there are circumstances where a startup having great offices might make sense (trying to attract world class talent) but generally founders should not be giving up so much equity that they’re drowning in funds. 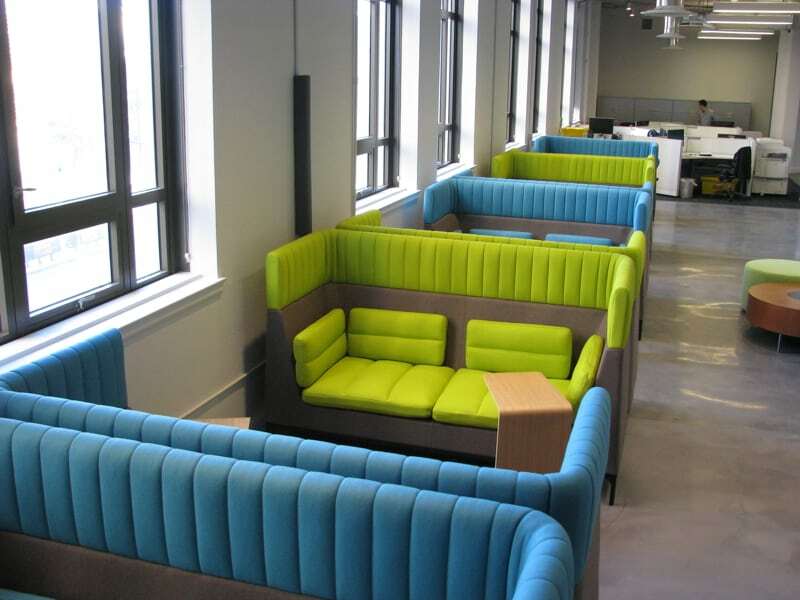 A company called Modtimber, has amazing furniture made from reclaimed materials, check them out!